Idukki: Considering the heavy rain alerts, the KSEB has raised one shutter of the Cheruthoni dam at 11 am on Saturday. The water level in the dam has reached 2387.5 feet. 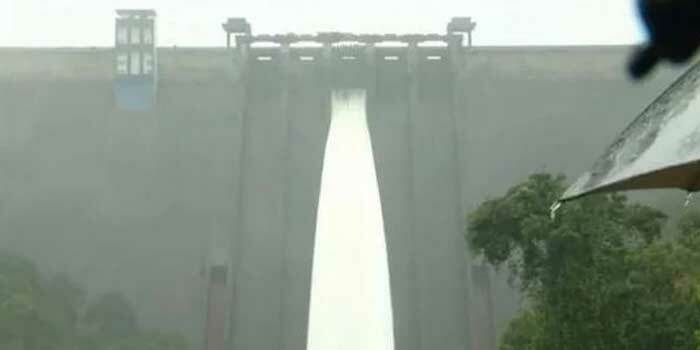 Per second, 50,000 lakh liter water is released from the dam. An alert has been issued to those living near the banks of Periyar. Still the board has made it clear that no situation is there to be panic. Earlier it was decided to open the shutter on Friday evening. But the decision was dropped as the rainfall in the catchment areas decreased.